A busy weekend at the farm on the weekend, 21-22 April. The garlic beds are ready to be planted out with approximately 40 kgs of garlic seed over the next two days. The crop will be ready for harvest in November 2012. 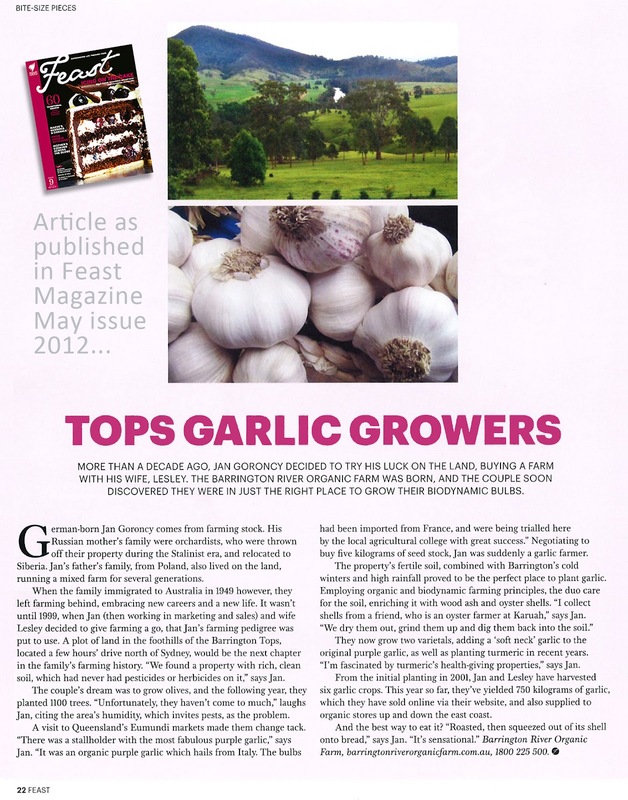 WE'RE FEATURED IN THE MAY ISSUE OF FEAST MAGAZINE!